Christina L. Holly was born in Butler, Pennsylvania. After a short time, she moved to Fort Wayne, Indiana where she was raised. She obtained her undergraduate degree from Purdue University. While studying at Purdue, she was a member of the travelling mock trial team. She graduated with high honors and was inducted into Phi Beta Kappa, a national honor fraternity. She was also a member of Omicron Delta Kappa, a national leadership fraternity. She served on the Liberal Arts Student Council and was president of her sorority, Alpha Omicron Pi. She earned her law degree from the University of North Carolina at Chapel Hill. She was a member of the school’s Entrepreneurial Law Association and a member of the Prisoner’s Rights Project. During law school, she was an intern at Chicago Volunteer Legal Services in Chicago, Illinois, and the Office of the Attorney General of Georgia in Atlanta, Georgia. 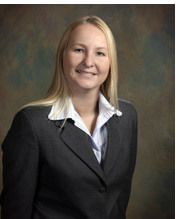 After earning her law degree, she moved to Southwest Florida to begin practicing law. Her work experience includes employment as an attorney at Henderson, Franklin Starnes and Holt, P.A., Bosco Law Firm, and Bergermann and Seliger Law Firm. She is presently employed as the Managing Attorney at the Law Office of Christina L. Holly, P.L. Complex marital and family law litigation, including divorce or dissolution of marriage, child custody, paternity, child support, alimony or spousal support, modification, relocation, domestic violence, adoption, collaborative divorce, and prenuptial agreements.